The offensive headline, related to basketball star Jeremy Lin, could be seen on mobile and tablet devices before it was later removed. US SPORTS TELEVISION network ESPN has apologised for using a racial slur in a headline for a story on basketball star Jeremy Lin. ESPN ran the headline “Chink in the Armor” on its mobile website after Lin had nine turnovers in the New York Knicks’ loss to the New Orleans Hornets in their NBA clash on Friday night. The offensive headline could be seen on mobile and tablet devices before it was later removed. 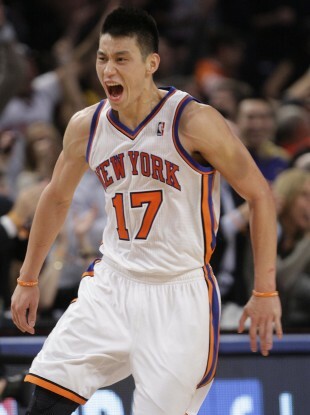 Lin is the NBA’s first American-born player of Chinese or Taiwanese descent who’s unexpected dominance on the court sparked a seven-game winning streak and led him taking on a cult following, or ‘Linsanity’, akin to that enjoyed by American football star and devout Christian Tim Tebow. ESPN said in a statement yesterday that it removed the headline 35 minutes after it was posted. The story was first reported by Outsports.com which has a screengrab of the controversial headline. Email “ESPN apologises for racial slur in headline on basketball story ”. Feedback on “ESPN apologises for racial slur in headline on basketball story ”.